How is your December starting off? Today is my husband's birthday. I was scrambling with my kids last night to get cards made for him. Not our best effort but I think he'll appreciate them. I have been asking and asking him for ideas for me and the kids to get him. He's not that easy to buy for and we get a double whammy in December with his birthday and Christmas. He's really into playing hockey these days so most of what he wants is around that. Mostly money to play more hockey! Guys in general, are difficult to buy for. As much as I don't like giving gift cards and money for gifts, I have slowly come around to it. This is the gift they want. I just don't like giving gifts with little thought or effort behind them. That's why I like to give money and gift cards in some kind of clever way. I usually try to use a different card holder each year. This year, we made one at my open house. 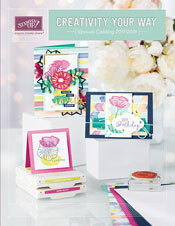 You die cut three top note Sizzix dies. You cut one of them in half, punch a 1" circle half way in to give them something to grab it out of the pocket. You form the pocket by glueing around the edges of the 1/2 top note. It's hard to see the pocket in the picture but hopefully, you get the idea. I love the inside sentiment for giving gift cards. I can think of more than a few on my gift list that this will work for! How are the holiday festiviites coming along? We have our tree up and some of the decorations up but I still need to put the ornaments on the tree and my youngest keeps bugging me to wrap presents and put them under the tree so he can snoop! That's not going to happen for awhile. We have birthday celebrations first. My nephew's birthday is the day after my husband's so we are going to celebrate this weekend for both! 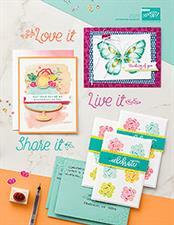 I have some projects to share with you in the coming week from my stamp club. We're meeting tonight so I don't want to spoil the surprise yet!